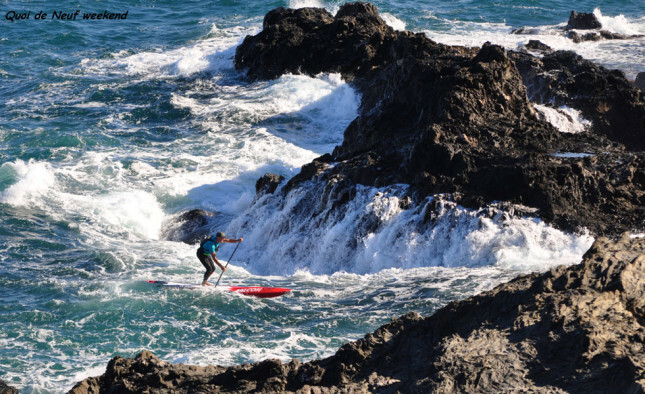 At the same time as the Aussie SUP Titles were happening in Queensland on the weekend, on the other side of the world there was another elite battle taking place, with glory, bragging rights and a trip to the 2014 ISA World Champs on the line there as well. The French National SUP Titles (“Championnats de France Stand Up Paddle”) have just wrapped up and produced plenty of SUP racing action as well as a couple of interesting surprises. 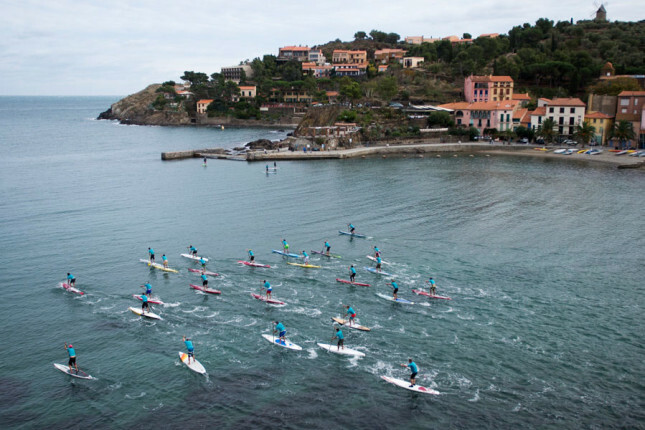 Held in the picturesque town of Carnet on the South of France, the championships featured the best paddlers from one of the strongest SUP nations there is. 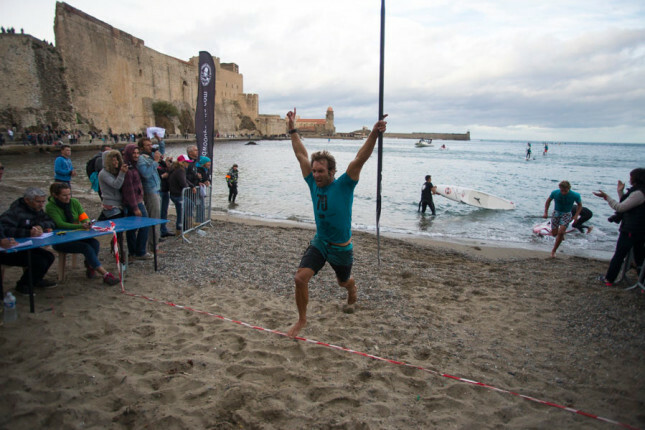 On the opening day, hot favourite and the long-time, undisputed king of French (and European) stand up paddle racing, Eric Terrien, was defeated by the unheralded Titouan Puyo in the 18km Distance Race, while young gun Arthur Arutkin also crossed the line ahead of the reigning champ. Titouan was a complete dark horse and surprised many people with his impressive victory. Hailing from New Caledonia, the new French distance champion has a long background in Va’a outrigger canoe paddling, which helps explain his meteoric rise in the world of SUP racing. In the women’s it was a two-way battle between Olivia Piana and Celine Guesdon, with the pair splitting the wins and giving selectors a dilemma, as generally speaking only one female is on the national team at the ISA Worlds. There was also a very strong showing by the juniors, including the two Arthurs (Arutkin and Daniel), who have already been making a name for themselves internationally this year, butalso up-and-comers such as Martin Letourneur, Gabriel Bachelet and Pierre Nau. Arthur Arutkin’s pair of second place finishes are not only a great sign for the future of paddling in Europe, they may also give national team selectors a bit of a headache. Technically Titouan, Eric and Arthur all finished on the same points from the two races, as Eric and Titouan traded 1st/3rd places, while Arthur split the middle each time.